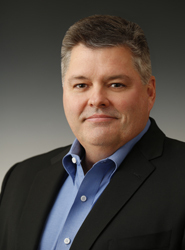 John F. Schell, Jr. is the Manager, Land & Business Development, for ConocoPhillips Alaska. John joined Conoco in 1989 in the Corpus Christi, Texas exploration and production division. He has served in a succession of upstream and midstream operations, business development, commercial and marketing positions in field locations of Texas, Oklahoma, New Mexico; corporate headquarter offices in Houston, Texas; and international locations in Perth, AU, Tokyo, JP and Singapore. Over the course of his career with ConocoPhillips, he has held a diverse range of positions, most of which directly relate to the upstream sector and the natural gas industry in some form. John started his career with ConocoPhillips in oil and gas field operations. Subsequently, he managed commercial activities regarding the purchase and sale of natural gas and natural gas processing assets in the west and mid-continent regions of the U.S. John also served as asset integration manager for implementation of acquired assets and manager for natural gas pipeline assets. He has held positions having responsibility for LNG marketing and related commercial negotiations in Asia Pacific. Prior to his current role, he was responsible for business development activities associated with upstream exploration and development opportunities in the Africa and U.S. regions. A U.S. citizen and native of Texas, John holds a bachelor’s degree in accounting from Texas A&M University and a master’s degree in management from Sul Ross State University. He and his wife, Cheryl, moved to Anchorage in December 2016.